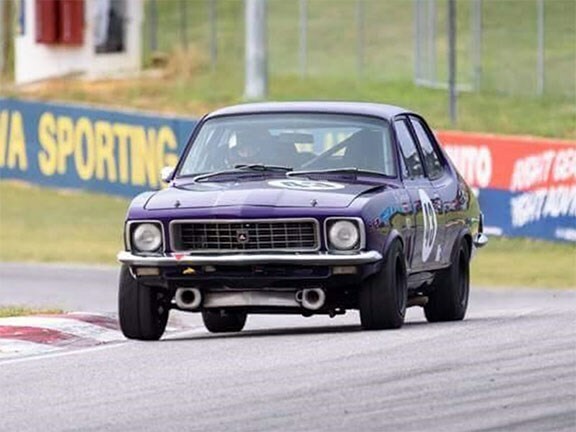 The Holden LJ Torana is the second iteration of the second generation of the iconic Aussie marque. Released in February of 1972, the LJ was, stylistically at least, a facelifted version of its predecessor, the LC. The LJ was made available to consumers with several different engine choices, depending of the level of specification optioned. These included ranges of four and six-cylinder powerplants, up to the 3.3lt six. Power was sent to the rear wheels via either a three-speed automatic transmission or a three or four-speed manual transmission. Body styles for the LJ that were made available to customers were either a two-door coupe or a four-door sedan. This particular Torana has been has been stripped out and turned into a track car replicated to look like the fabled Torana GTR XU-1. According to the seller, the vehicle is log booked and ready to race and comes with a myriad of modifications including: Yella Terra platinum race roller rocker, Isky valve springs, Crower roller lifters (bar joined), H beam conrods, ultra-light Yella Terra flywheel, modified high energy sump, main caps girdle, external oil pickup ,oil lines plumbed to 1 and 6 cylinders, new oil cooler and lines, two oil returns from rocker cover to sump, new oil temp and oil pressure gauges, two new fuel pumps running three-way switch, quick release steering wheel, fabricated Weber linkages with eccentric bel crank , custom extractors and exhaust, three front sway bars (different sizes), spare different spring rates front and rear, adjustable rear sway bar and dry break fuel lines from the tank. The seller also adds that the LJ was painted last year, has an extensive roll-cage, new watts link, new rear adjustable shocks, full roller motor built by Advanced Motorsports Solutions in Perth, a Detroit centre from Keith Croft, a reconditioned steering rack and a fully rebuilt differential. The LJ replica GTR XU-1 is $38,000 and anyone interested in this track day monster can view the full listing here.